Click for Details & Mark Your Calendar! What is St. Odilia Council of Catholic Women? This vital organization serves as a gathering place for women who are interested in helping our parish to be all that it can be. The group has been active in the St. Odilia parish since the 1960s and is affiliated with the St. Paul Deaneries, the Archdiocesan Council of Catholic Women (ACCW) and the National Council of Catholic Women (NCCW). Many parish programs started by CCW have now become parish programs, such as altar linen cleaning and coffee and donuts hospitality. Today, the group meets monthly offering many educational, social, and service/fundraising activities. Annual dues are $5 per year. The Council of Catholic Women (CCW), Archdiocesan Council of Catholic Women (ACCW), and National Council of Catholic Women (NCCW) acts through its membership to support, empower, and educate all Catholic women in spirituality, leadership, and service. Our programs respond with Gospel values to the needs of the church and society in the modern world. CCW works to promote the spiritual life of members and is also committed to keeping alive the tradition of honoring Mary. Our Lady of Good Counsel is our patroness. St. Odilia CCW is known for its tireless support of the parish. Profits from fundraising activities are used within our parish community to aid in the care and maintenance of the altar and sanctuary, upkeep and replacement of landscaping, equip and care for the auxiliary kitchen, and more. The group also supports many local missions and those farther away giving the group a broad, comprehensive outreach to the needs of the larger community. · Regular meetings usually September through May (entertaining and educational). 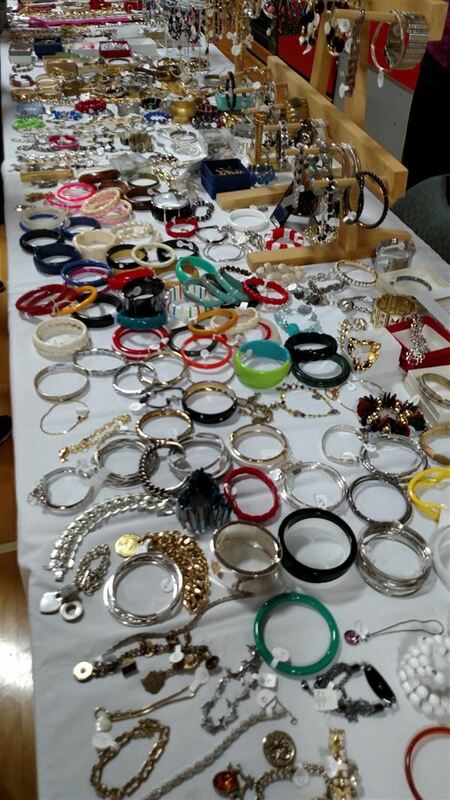 · Fundraising activities - coordinate 2 parish bake sales and 2 jewelry sales. · Annual Mass for living and deceased members. · Offering support for the priests and religious of the parish. · Sponsoring School Essay Contest for 8th grade. · Collection of clothing, school supplies, toys, candy, etc. for Appalachia each fall. · Providing a remembrance to each student receiving First Eucharist and Confirmation. The group meets regularly throughout the school year. Use this form to join CCW anytime!